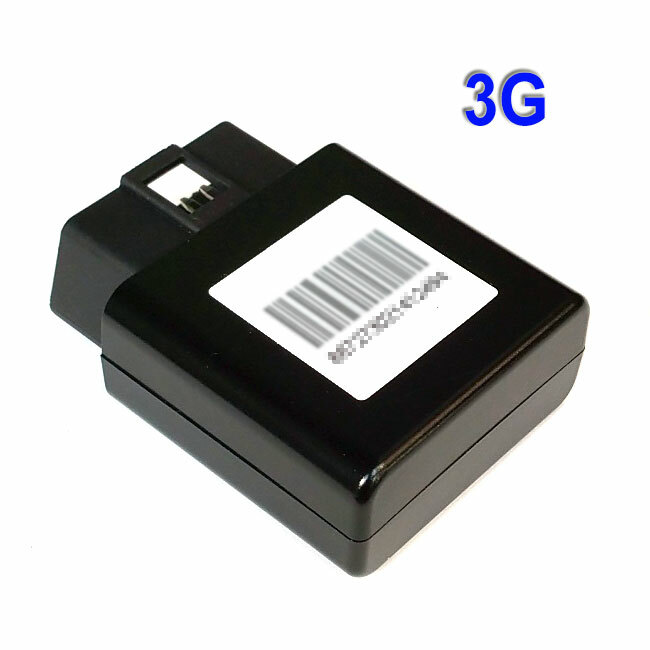 3G OBD tracker (UMTS/HSPA 850/1900MHz). Roaming SIM card for best coverage in US 50 states. Easy to install: plug into the vehicle OBD-II port and go. No wiring needed. Report data from vehicle computer. Lightweight (1.9oz) with built-in GSM and GPS antenna. Get your own real-time GPS tracking today! 24/7 real-time. Everything is pre-setup for tracking. You just need to take the tracker out of the box, follow the included instructions to activate the tracker. 4 packages to choose from. $12.99/$15.99/$20.99/$25.99 per month (updates every 120/60/30/15 seconds). All included in the price. No extra cost for SIM card data usage. And more discount for quarterly/yearly payment. Paid via AccuTracking website. See pricing page for details. Q: How do I install it in the vehicle? A: Just locate your vehicle's OBD-II port (the port where the service shop plug their computer to. Usually below the steering wheel). CarMD website can help you find your car's connector. Example pictures. Before you buy: check the AT&T or T-Mobile coverage in your area. The kit will only work in AT&T or T-Mobile coverage area in US. Don't buy if your area is not covered. Usually ships within 1 business day (except weekends and holidays). Shipping options: USPS Priority Mail (3~4 days), UPS Next Day Air, or UPS 2nd Day Air.